I just had one of the best laughs I’ve had in a while. Baseball Ross tuned in on MiLB.tv to watch the Lehigh Valley Iron Pigs versus the Rochester Red Wings. The logos were on the screen but no announcement of a delay or anything. So Ross could hear talking but not very loudly, afraid that there was a problem with the computer he asks me to check with the iPad since I have my nice Bose earphones paired to it. I tune into the game…. 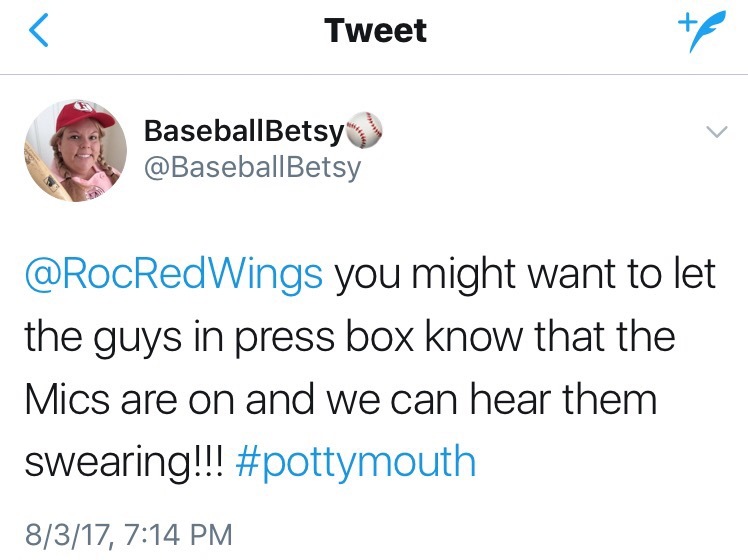 The game was in a delay, but the announcers didn’t know their mics were still on! As people do when they have time off at work-they we’re goofing around and let’s just say the language could be “colorful”. Next thing you hear is that they are scrambling to find the “hot” mic. After a few more minutes of scrambling, it went silent. Best laugh I’ve had in a long time! So when we got the alert that the game was about to start after the rain delay we tuned back in, what do you know—-THE MICS WERE OPEN AGAIN! 12 Days but not much to say. I felt the need to just mention that there are 12 days left until pitchers and catchers report. Last year at this time, I felt excited, full of anticipation of the upcoming season. This year…I’m mixed. I’m looking forward to seeing my favorite guys, some of whom I feel privileged to call “friend”. Derrick Mitchell, Jesse Biddle, Adam Morgan, Austin Wright, Perci Garner, Cody Asche, Tyson Gillies, Tyler Knigge and Seth Rosin, I’m anxious to see these guys. Other than that, I’m just flat. 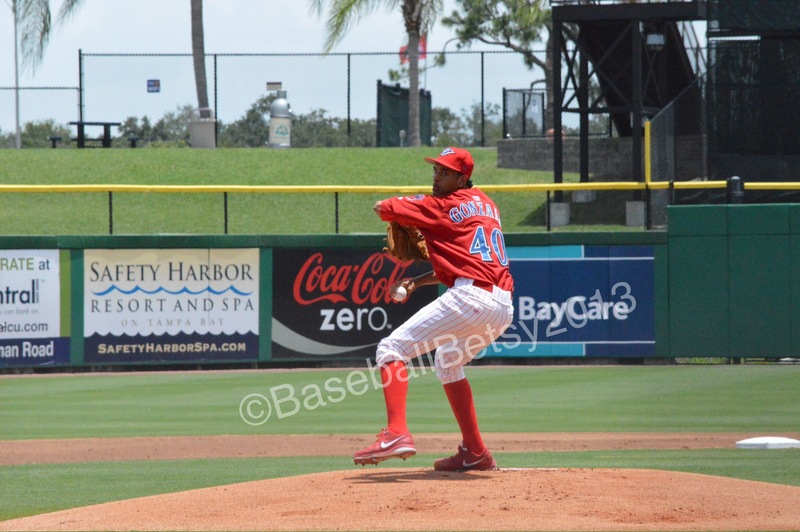 I’ve been frustrated and disappointed by some of the “deals” that Ruben Amarro Jr. has made. I think the thing that has made me so angry and frustrated is that I truly believe that we have a great wealth of talent in the farm system. Some of these guys, in my opinion, could step into the holes that RAJ just “filled”. Guys who have played well and have been waiting in the wings for a shot at the big time. Instead, RAJ has brought in older, “experienced” players…or in my opinion, past their prime to take the spots. I’ve written on this several times in the two years that I’ve had my blog. I would rather lose a couple of games due to a young guy’s “Learning Curve” rather than losing because an “experienced” player isn’t in the condition needed to make a play. I see that letting the younger player play builds for the future, helps us long term whereas the older “seasoned” player might do ok now, but they’re not going to be able to help us in the long term. 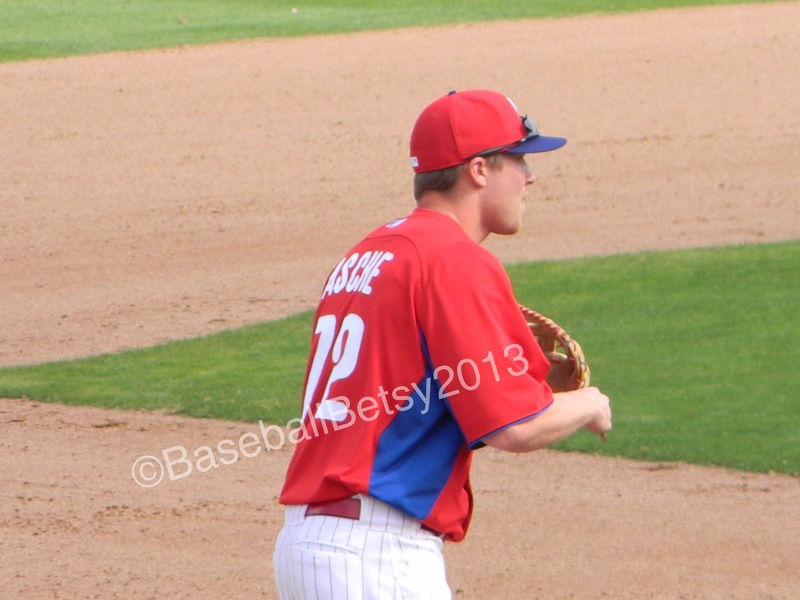 The best news I’d heard was that Cody Asche and Adam Morgan were invited to the MLB training camp. THAT gives me some hope, but knowing RAJ even these guys will be stuck in the limbo known as Lehigh Valley for years to come. At least I’ll get to see my friends in the upcoming days and that makes me happy. I’ll focus on that. I just don’t know what happened to this season. I don’t. While I never expected the amazing-ness of recreating the 2008 season, I certainly expected that we’d do better than we did. May be I’ve become spoiled. I mean, had this happened in the late 90s it would have been the norm, what was expected, but since the miracle of the 2008 season, all the seasons that we’ve been in the hunt, a threat to contend with, this season came as a smack to the face. What or whom is to blame? The injuries? Trades? Lack of production/effort? Bad management? There is so much blame to go around. Rabid Ruben Amarro, Jr., Uncle Chuckles…the injury bug…I could go on. So much of the 2012 season with the Phillies was so ugly that I don’t think I can ever look at the season without putting a metaphorical bag over its head. We all know what made the season Ugly (and I do mean to use the capital U, it was THAT ugly) and over the next four months every pundit will claim to know the cause of this years’ debacle. So why should I rehash it? The Bad? Hmm. There were some things that I would say were bad, but did not merit being called ugly. Not many because I feel like 2012 was such a craptastic season that almost all the negatives were so strongly negative that really there wasn’t much bad for me, it all turned Ugly. Top it with the cherry that was Ryan Howard breaking his big toe. Does a year any more Ugly than that? Bad, trading players to other teams…and then they made contributions for their new teams. 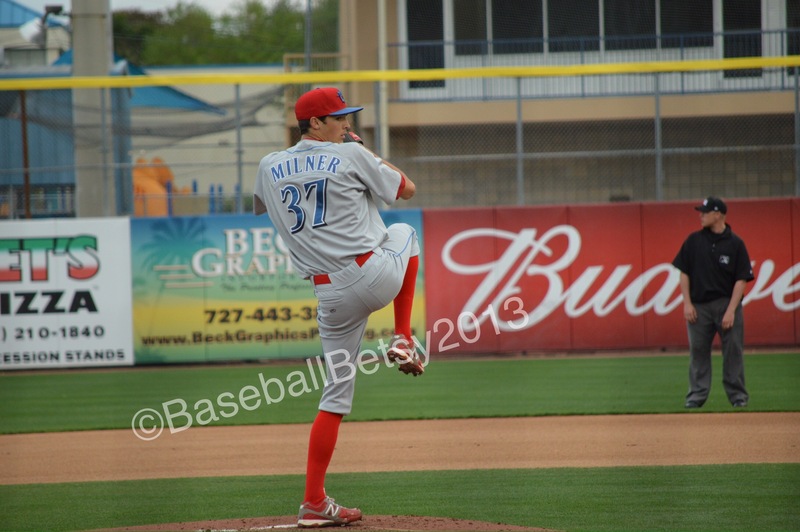 Shane Vicotrino, Joe Blanton, Hunter Pence, Scott Posednik and Rich Thompson were traded away. I liked Posednik and Thompson. I’d watched the two of them last year in Lehigh Valley. 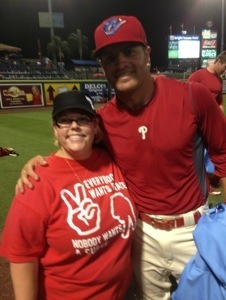 I got to talk to Pods in Spring Training and he seemed like a nice guy. Thompson had been with the IronPigs from the beginning and to see him traded away was like a kick in the teeth, especially when they traded away Pence and Victorino just a month later. Thompson at least got traded to his hometown team, but he might have been good to keep here, he’s a decent fielder and considering his salary was considerably lower, it would have given us some more space under the cap to try to find someone for third base. 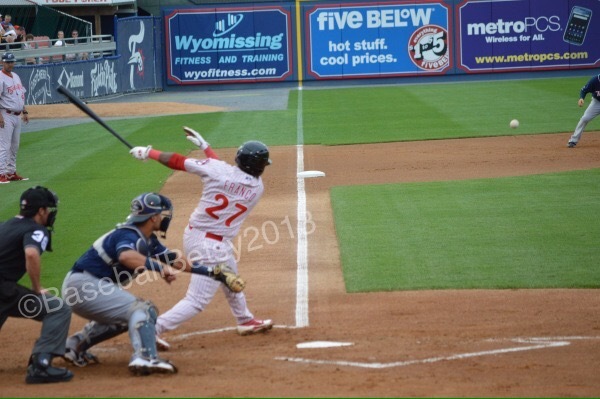 Bad was Freddy Galvis coming out to a hot and roaring start…giving hope that may be the season could at least be decent…only to have him sidelined by not only a back injury but a fifty game suspension for PEDs. Bad was also how the front office kept inflating the attendance numbers to try to keep the “sold out” streak at CBP going. I mean any fool with eyes could see the large areas of empty seats. You can’t tell me that THAT many people purchased tickets then didn’t go. I’m sorry. Talk about “massaging” data! The good. Hmm…when it comes to the big boys, frankly there’s not a lot for me. 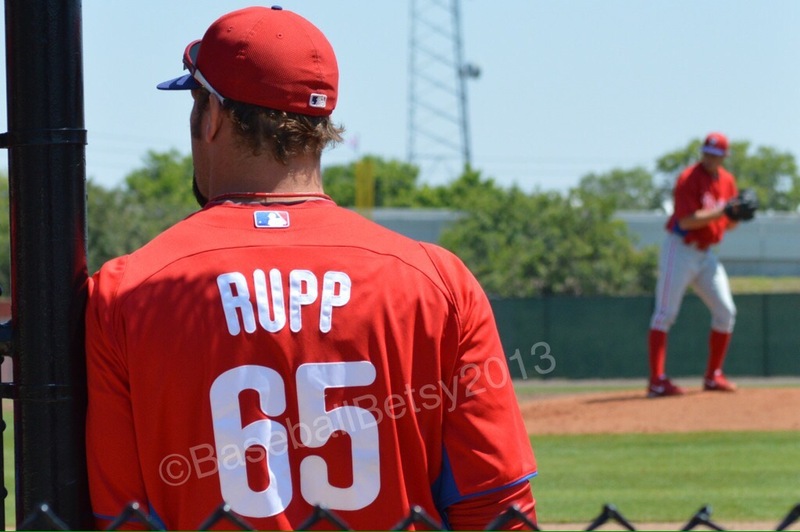 I look at Darin “Babe” Ruf…that makes me happy. I look at Tyler Cloyd…that’s another bright and shining star. What do these guys have in common? 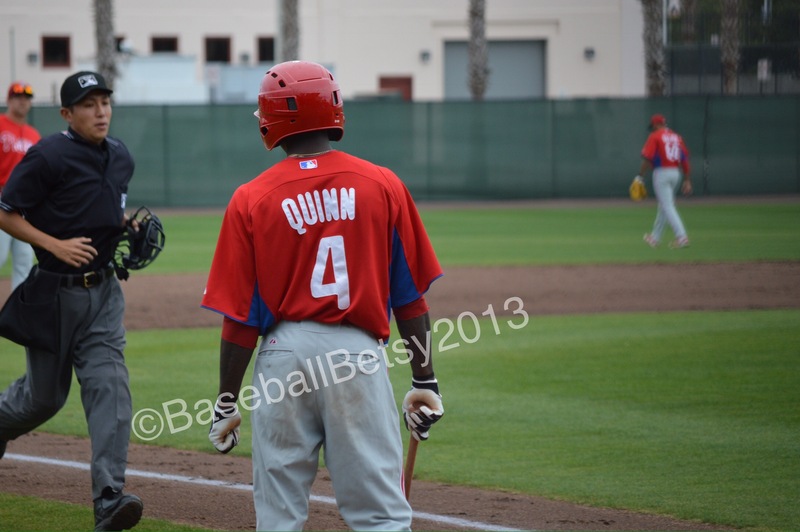 They’re young and offer promise…may be that’s what the big Phils need…HOPE…not another older player signed for a year or two to fill in a gap. Hope can go a long way in inspiring a team to do better. 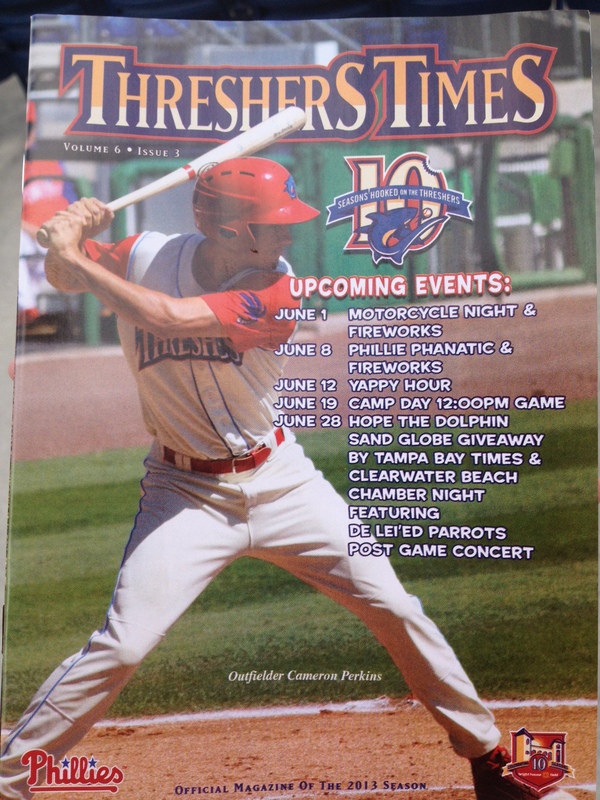 For me…the things I’ll remember about the 2012 season all had to do with the minor league levels. Granted, I had a lot of contact with the players at this level…but that’s what will shine for me. 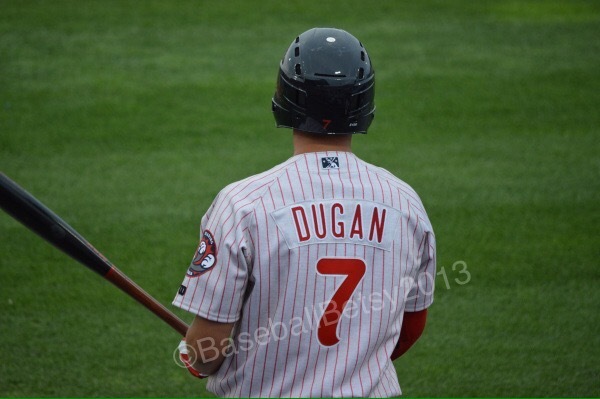 This year, frankly, I want to forget the majority of the Big Phillies year and focus on the guys who give me hope that may be once management decides to give the younger guys a chance to play that may be, we can become great again. 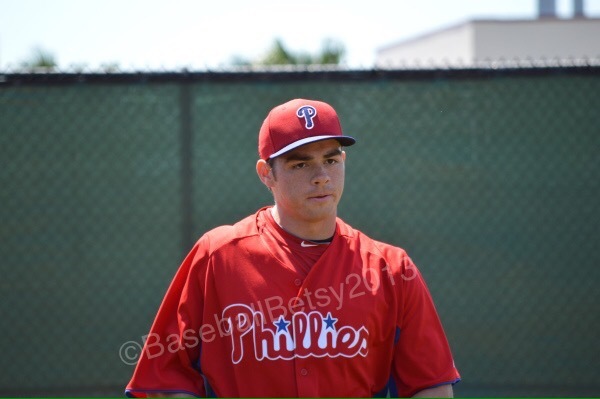 I look at Jesse Biddle, Austin Wright, Adam Morgan, Tyler Knigge Cody Asche, Tyson Gillies, Darin Ruf, Tyler Cloyd, Jake Deikman and think…that we might just have something there…we have a massive amount of talent and potential that THEY are our future..THEY are the ones to help pull this team up. This is what keeps me going, the hope that may be these guys that I’ve watched this summer and in some cases, several summers, that these guys can get us to the big game…whether Rabid Ruben and Uncle Chuckles give them the chance before any of them are old enough to qualify for social security remains to be seen. As I read over what I had written, I realize I sound bitter. As a fan who live and dies with her teams, this year has been so hard to take. So much potential seemed to have been squandered. Personally, I lay a lot of the blame with management who seems stuck on bringing in and then keeping in older guys who just don’t seem to be getting it done on a regular basis…which would be understandable, IF there weren’t some kids in the farm system that might just have the potential to get the job done, as well as the veterans are but would also give hope to the future. That’s what makes me bitter. I’ve said it before and I’l say it again, I’d rather lose because we have younger players learning to play at the Major League level than losing because the players we have are at the end of a great career and can’t manage to keep playing everyday at that same Major League Level.